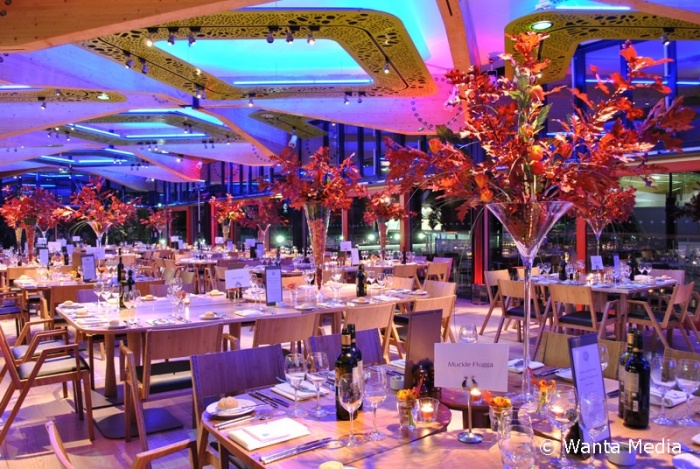 Set in more than 70 acres of stunning parklands and gardens, the range of venues and facilities within The Royal Botanic Gardens of Edinburgh allows for a wonderfully wide array of functions. 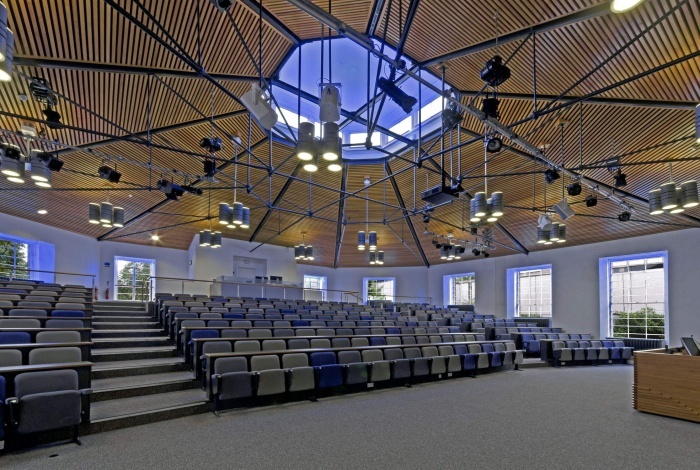 The recently refurbished Lecture Theatre, which has tiered seating for up to 250 delegates, has state of the art AV equipment supporting HD presentations via PC, Blu-ray or DVD as well as a PA system and a full lighting rig. The adjacent Conference Room is perfectly placed for either catering or break-out space, however, with its own PC, projection equipment and an adjustable height lectern, it is versatile enough to be used on its own for smaller groups of 120 theatre style. The Caledonian Hall, which overlooks the beautiful rock garden, is an elegant blank canvass for sophisticated celebrations at any time of year, but is further enhanced when the sun begins to set on a balmy evening and guests drift onto the adjoining patio to listen to bird song, before the dancing begins in the neighbouring pavilion. Drenched in light by floor to ceiling windows leading onto a vast open terrace, the modern décor of The Gateway has an aura of tranquil refinement which belies its evening persona when lighting and music transform the space into a vibrant party area coupled with outdoor seating, a barbeque and pizza oven on the terrace. For smaller events the Terrace Café creates a relaxed space where guests can enjoy a drinks receptions or dinner before delighting in a spectacular view of the Edinburgh skyline from the patio. The staff’s professionalism and attention to detail is only surpassed by their enthusiasm to incorporate the beauty of the breathtaking setting to create a truly lasting impression for both corporate and private events.